I am just reading Professor Robert Darnton’s new book titled ‘The Case for Books’. Darnton is a well know book historian, especially of the French Enlightenment, and made the bold career move to become Harvard’s Librarian. Admittedly ‘the Case for Books’ is not that good, especially for those who have been involved in academic publishing debates for quite some time. In the quest to reach larger audiences, the book appears to have lost some rigour and Darnton’s first-person monologue is a little too personal at times (he should keep a blog). Still, there is a lot of information on the Google Book project, especially as it relates to the looming legal decision in which I am admittedly not on top of. Here is a initiative from the UK’s JISC (The Joint Information Services Committee) who have attempted to create a ‘social software’ solution for broader public consultation. Almost always these social software solutions do not work (as it the case here) as the sites lack of community feedback. Still there there is an excellent summary of the case and key issues (link to JISC’s site). 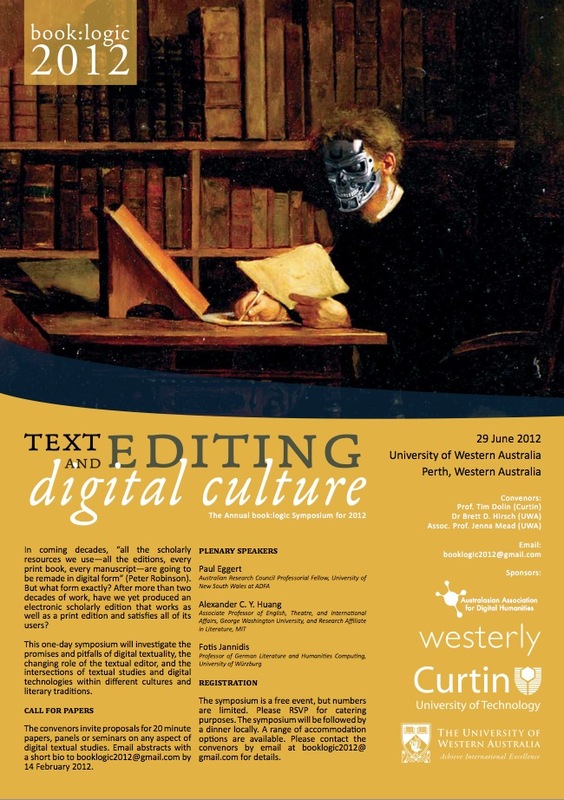 The book that I worked on in 2006 as a Research Assistant with Professor Jim Falk is to be launched this Friday at the University of Technology; Sydney. The book is about the rise of ‘global governance’; driven by crisis such as climate and technological changes (I worked on the technology chapter). The argument, and supporting studies, are built around a simple concept – that over the sweep of human history, ever more potent flows generated and shaped by ever more complex and sophisticated human activity, have increasingly developed across the boundaries around which prior governance institutions and processes have been erected. In this context the authors consider the growth of flows of finance, atmospheric pollutants, information, pathogens, and security threats, the challenges they pose, and the transformations to governance at all levels under way (link). The book is to be launched by Helen Clark; the ex-Prime Minister of New Zealand. Well done Profs Jim Falk and Joseph Camilleri. The book has its own web site (here). The new Wheeler Centre is about to open in Melbourne and is hosting a number of events. It appear to be somewhere between a think tank and writers centre. Can’t wait! Our City of Literature status is not about Dickens on the tram, Nabokov in the Great Southern Stand or a Bronte or two over breakfast. It’s a recognition and celebration of Melbourne’s passionate readers. We’re home to many of Australia’s best and best-loved writers, past and present. We host an extraordinary network of booksellers, a diverse publishing culture and a vibrant community of thinkers. Being a City of Literature is about engagement locally and globally. Because there’s a public conversation going on: in our papers and online, on our TVs and radios, in our workplaces and homes. Books, writing and ideas flow through Melbourne and there is something for everyone (link). I am back in Melbourne now and normal viewing will resume once when I find my feet. In the mean time, here is a new book from the cultural historian, Robert Darnton who has recently taken up the post as Librarian at Harvard University. “In The Case for Books, Robert Darnton offers an in-depth examination of the book from its earliest beginnings to its shifting role today in popular culture, commerce, and the academy. In a lasting collection drawn from previously published and new work alike, Robert Darnton lends unique authority to the life and role of the book in society. The resulting book is a wise work of scholarship – one that requires readers to carefully consider how the digital revolution will broadly affect the marketplace of ideas.”–BOOK JACKET.